During a Capitol Hill reception for the Armenian National Committee of America (ANCA) and Genocide Intervention Network’s (GI-Net) anti-genocide advocacy campaign this past week, Mark Hanis, Founder and Executive Director of GI-Net, highlighted the importance of recognizing the Armenian Genocide as it relates to stopping current and future genocides. He pointed out that denial of the Armenian Genocide sends the wrong message to the perpetrators of the current genocide in Darfur by convincing them that mass murder can be committed with impunity. This is made even more evident by the cordial relations Sudan and Turkey are steadily building–to the point that they even seem to be swapping their denialist discourse. Indeed, both countries have repeatedly expressed their admiration for one another, with Turkey’s President stating, “Although we are from from each other geographically, our people are not far to each other,” and Sudan’s ambassador to Turkey recently quoted as saying that Turkey “is a model for Sudan” in the Middle East. This adds further proof that reaffirmation of the Armenian Genocide is not a historical issue but, rather, a very current and modern one. As long as Turkey does not own up to the crimes it has committed (and is aided in this process by officials in the US), it will continue to serve as a model for governments such as that of Khartoum who seek to slaughter entire groups of people without facing any consequences. John C.K. Daly is an analyst for the Jamestown Foundation, a right-wing think tank created during the Cold War era. He is also an arrogant denier of the Armenian Genocide. In a recent talk given in Washington, DC, Daly attempted to present the Armenian Genocide as a “disputed” issue with a questionable basis of support. As evidence of this, he cited an obscure website which presents an 1871 Russian painting as proof of the 1915 Genocide. Not only does using such random internet sites to back an argument (while ignoring the vast documentary and scholarly record) go against elementary academic principles, but it is patently ridiculous to suggest that such anecdotes somehow challenge the overwhelming academic consensus on the murder of 1.5 million innocent human beings. Daly’s talk contained many other distortions and insulting statements, such as his suggestion that the Armenian Genocide is “the historical equivalent of Britney Spears.” Other innacuracies include his claim that Armenia did not respond to Turkey’s offer to form a historical commission to study the Genocide (Yerevan actually offered to discuss the matter in a bilateral context of normalized relations) or the assertion that Armenian genocide legislation has never passed in Congress (for the facts, see Sec. 2, article 20 and 22 of H.Res.106). For more on Daly’s junk scholarship and apologetics for Turkey, you can view his report, U.S.-Turkish Relations: A Strategic Relationship Under Stress. For his support of Pan-Turkism as a worthy goal, see his article, “The Rebirth of Pan-Turkism,” in the Eurasia Daily Monitor. Azeri forces, once again, violated ceasefire provisions and attempted to take the positions of Armenian soldiers along the border with Nagorno-Karabakh yesterday. According to Armenian officials, the skirmishes were heavier than usual, resulting in the death of eight Azeri soldiers and the wounding of two Armenian servicemen. While the Armenian side has appealed to the Organization for Security and Cooperation in Europe (OSCE) to step in with a crisis-monitoring group to maintain peace in the region, Azerbaijan’s president is busy with the usual saber rattling. 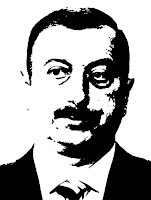 He stated Azerbaijan’s conviction that the “force factor remains decisive” and can be used to pressure Armenians into giving up power over Nagorno-Karabakh. At the same time, Azerbaijan’s parliament decided to withdraw its 33-person peacekeeping team from Kosovo following its declaration of independence from Serbia. Azeri authorities have refused to recognize Kosovo’s independence and fear that it will serve as a precedent for international recognition of Karabakh’s right to self-determination. ‘I Apologize’ Website Silenced; Will the International Community Speak Up? Civil Society is Speaking, but is the Turkish Government Listening?